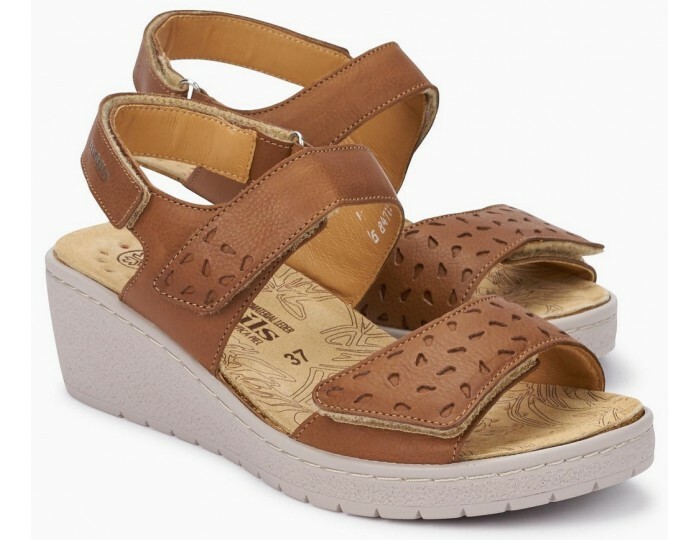 Women's Cork Footbed Sandals, named PENNY PERF, Smooth leather. The SOFT-AIR midsole, flexible and soft, reduces the shock from walking to an absolute minimum. This protects your feet, joints and vertebrae, while maintaining proper hygiene. 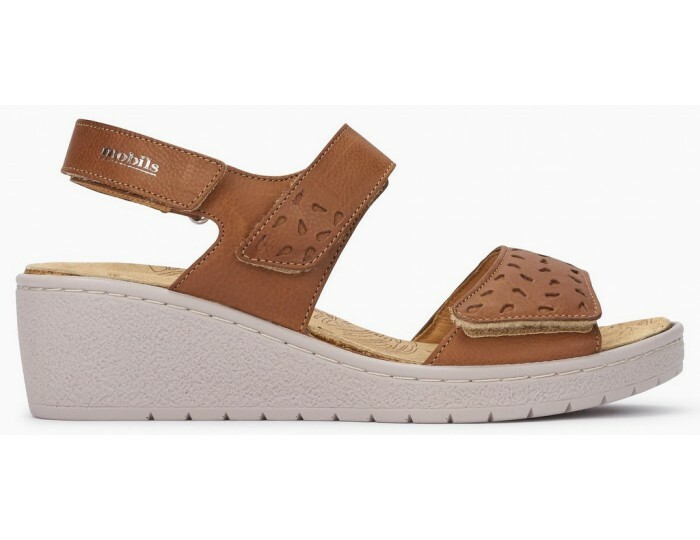 For a comfortable and effortless walk. 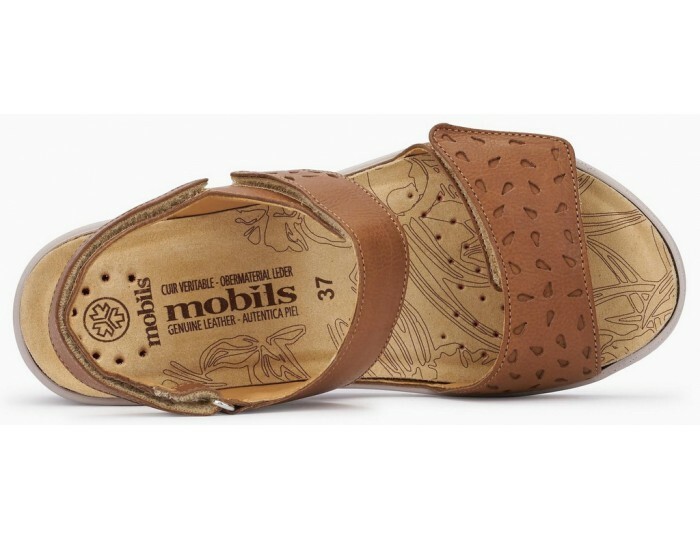 All our MOBILS ergonomic models have a comfortable extra-wide fit giving more space to the toe area. This ensures a perfect fit and therefore incomparable comfort. The amazing, soft and comfortable allover padding applied between the lining and the upper leather ensures optimal comfort, softly surrounding your feet and avoiding unnecessary compression. The replacable premium footbed is made of 100 % natural cork, adapts to the individual shape of your foot and guarantees a natural walking sensation. 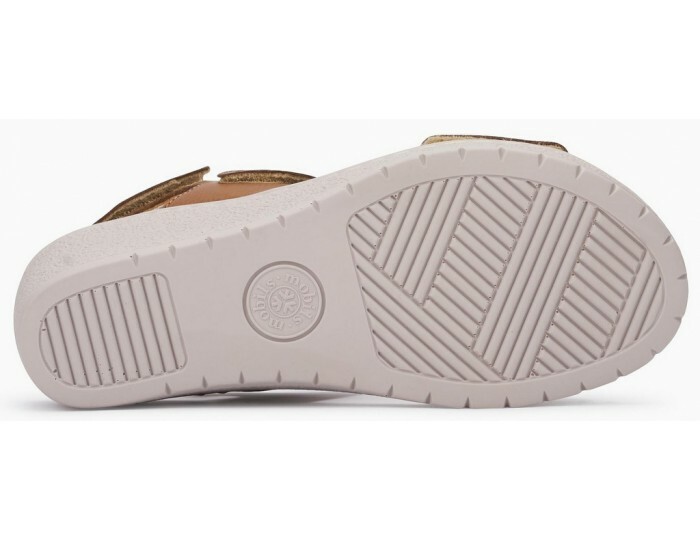 The ultra light outsole combines extreme suppleness with incomparable lightness and gives excellent shock absorbancy. The assurance of a tireless walk. The leather lining caters for a healthy climate in the shoe.